Matthew is an urban transportation planner with a decade of experience in planning and implementing great streets. Matthew leads NACTO’s street design work in North America, serving as technical editor of the organization’s design guidance. He supports cities worldwide with design expertise, guiding cities through challenging projects that make streets safer and advance the state of design practice. At NACTO, Matthew has worked with cities to advance the state of street design practice around the country and the world, focusing on the design ideas and analytical tools needed to advance safe, sustainable streets. He developed the Transit Street Design Guide released in 2016, and the related Making Transit Count toolkit. In 2017, he led the creation of Designing for All Ages and Abilities, NACTO’s first contextual bicycle design guidance. To expand the use of NACTO’s guidance, Matthew has led design trainings and hands-on workshops in dozens of NACTO cities, and in 2015 created a network of certified trainers to carry this knowledge further. Many of these projects took a city to the point of implementation, including Transit Program Accelerators in Cambridge and Denver, the San José Better Bikeways Accelerator, and Detroit’s growing bike network. At the New York City Department of Transportation, he introduced an evidence-based approach to the Department’s globally recognized street design programs, now expanded under Vision Zero, and contributed to dozens of major street redesign projects spanning 80 miles of streets on high-crash corridors, from Times Square to Rockaway Boulevard. 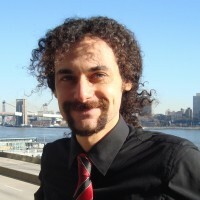 Matthew led the development of the 2010 New York City Pedestrian Safety Study and Action Plan, one of the nation’s first research-based safety plans, and contributed to the 2013 Making Safer Streets report. Matthew’s academic publications focus on the causes of pedestrian injuries in urban settings, and safety evaluation of street redesigns. He holds a Master of Science in Urban Planning from Columbia University, and a Bachelor of Arts with Honors in Social Studies from Wesleyan University.